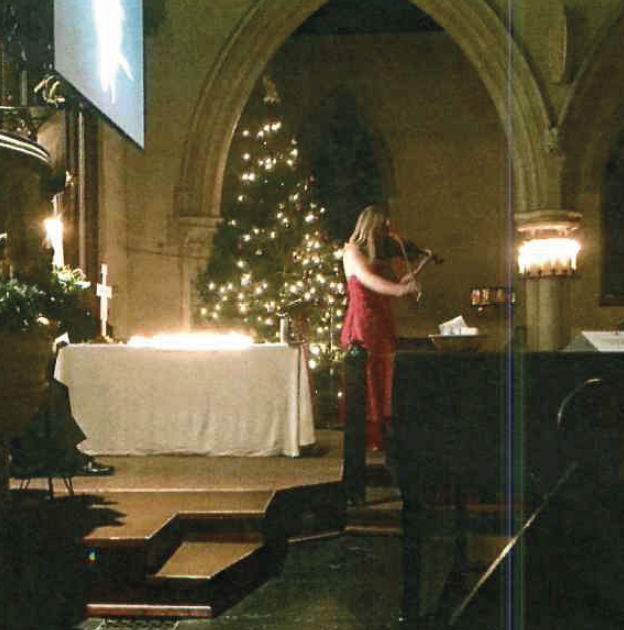 Xenos Foster, DM for the Walton on Thames district, every year arranges a special Christmas Remembrance Service, where families are invited to come and remember their loved ones. Staff from Walton District branches were on hand to assist with the service and afterwards serving mince pies and mulled wine. 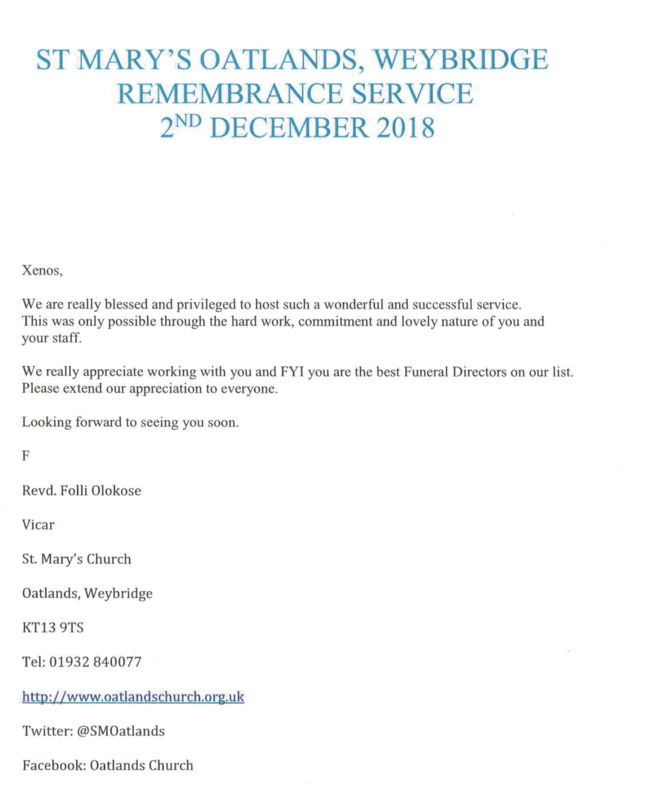 We have received some lovely comments and feedback from our families saying how beautiful and special the service was and a kind letter of thanks from Revd Folli Olokose who officiated at the service.